Summer is here. Now is the time for you to launch those home remodeling projects you’ve always wanted to do. 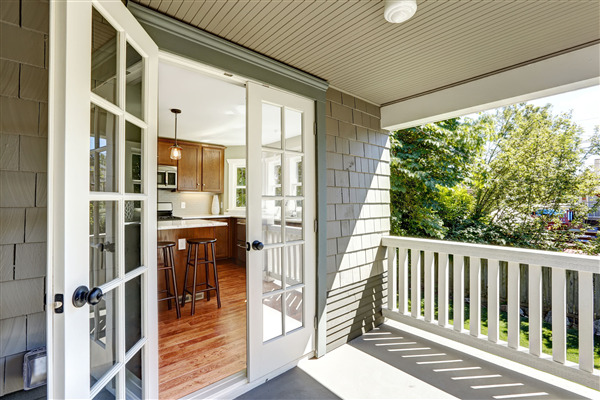 Below is a list of seven of the most popular renovations that will add value and beauty to your home by summer’s end. If you haven’t got around to building that backyard deck, then you’re missing out on lots of memories with family and friends. Decks are an easy upgrade that pays dividends in both the market value of your home as well as adding to the aesthetic value of your property. Few home products live up to the hype as much as seamless gutters. Seamless gutter systems last longer than standard sectioned gutters. They also eliminate leaks that can occur in the gutter channels. Seamless gutters are affordable and easy to implement. Don’t forget the gutter guards. You’ll reduce the amount of cleaning that has to be done on the gutter system. Outdated siding does nothing for you home. It does not protect it from drafts and moisture and it does nothing for your home’s beauty. Now is the time to replace the old siding with fresh new siding. You’ll love all the options that modern siding has to offer. You’ll also love how energy-efficient new siding is. Basements are often ignored. If you have a little imagination, however, you can turn that dark empty space into a cool room that the entire family can enjoy. Transform your basement into a game room, den, or a guestroom. The additional living space is a great investment for your property. If you’re standing by the curb and notice that your house looks worn out, then hire a professional contractor to give your home exterior a new coat of paint. A fresh paint job may just be what your house needs to improve its aesthetic appeal. Your neighbors will love it as well! Breathe new life into your kitchen with a full makeover from top to bottom. Go all out by replacing the cabinets and countertops, re-flooring the surface with durable and stylish tile. Go a step further by gutting out all the old appliances and replacing them with brand new energy-efficient appliances. Get a paint job and add a little zing by creating a unique one-of-a-kind ceiling design. If you are ready to upgrade your house, then we can help. Intelligent Design Corp. has been helping homeowners in Maple Grove, Minnesota and the surrounding area re-conceptualize their homes both inside and out. We offer a wide range of services that includes renovation, component installation, home repairs, and system replacements. Call us today at 763.315.0745 and let us help you get your home summer ready! « What is the Best Exterior Paint for Your Home?